If you’re a small business owner, your personal finances are closely tied with your business assets. When your company is doing well, your personal finances are doing well. But if you want to have success, you may need a little help. That help can come in the form of a small business loan. Find out how one can help you. One of the best ways to boost your business is to improve your marketing. However, that takes money. Many small business owners don’t have the money it takes to start a large marketing campaign. To get funding for one, you may want to consider a small business loan. Marketing is a great way to use loan funds because the goal of marketing is to improve your revenue. And effective marketing campaigns can accomplish that goal quickly. If you use a sound marketing campaign, you should be able to pay off your business loan in no time. There’s very little risk and the chance of a high reward. Emergencies happen, and they can leave you drowning in debt. Without any help, overcoming that debt can be almost impossible. A small business loan may be the help that you need to cope with an emergency. It gives you the funds you need to get back on your feet. Once you start generating your revenue again, you can use those funds to pay off your loan. It helps you avoid your business from coming to a standstill. There are many emergencies that you can experience. You might find yourself a victim of a natural disaster. Or, you could find yourself ill and incapable of working. In any case, your business may come to a grinding halt. You need help to get things going again, and a loan can accomplish this for you. Every business comes to a point when it’s ready to expand. But expansion isn’t easy. It takes money, and you might not have any to spare. You can use a small business loan to buy any inventory or equipment that you need to expand your business. With it, you can boost the value of your business and increase your revenue. Before you decide to buy new inventory or equipment, do your research. Take the time to come up with a sound business plan for your expansion. Price out all the necessary items and find out exactly how much money you will need to expand. You might find that you need less money than you think. In any case, a small business loan can purchase what you need. You don’t need to worry about dipping into your personal finances or wiping out your business account. 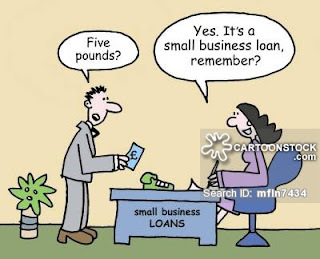 A small business loan can completely change the scope of your business. If you need a small business loan, don’t hesitate to apply. Apply now, and find out your eligibility. The loan may be what you need to bring your business to a whole new level.